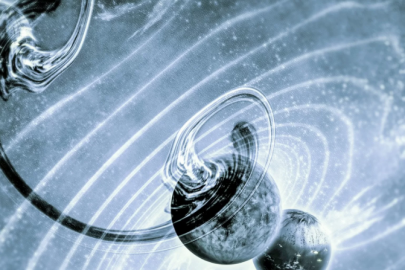 …and it seems to be working! The tower has been built in Xian in Shaanxi province and is undergoing testing by researchers at the Institute of Earth Environment at the Chinese Academy of Sciences. 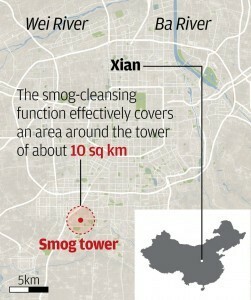 The head of the research, Cao Junji, said improvements in air quality had been observed over an area of 10 square kilometres (3.86 square miles) in the city over the past few months and the tower has managed to produce more than 10 million cubic metres (353 million cubic feet) of clean air a day since its launch. 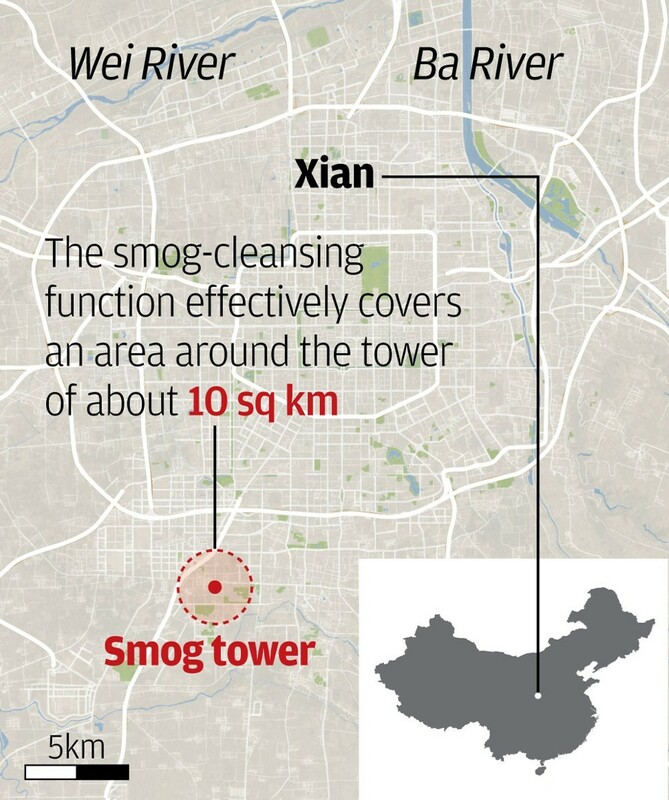 Cao added that on severely polluted days the tower was able to reduce smog close to moderate levels. The system works through greenhouses covering about half the size of a soccer field around the base of the tower. Polluted air is sucked into the glasshouses and heated up by solar energy. The hot air then rises through the tower and passes through multiple layers of cleaning filters. 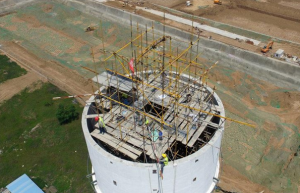 “The tower has no peer in terms of size … the results are quite encouraging,” said Cao. 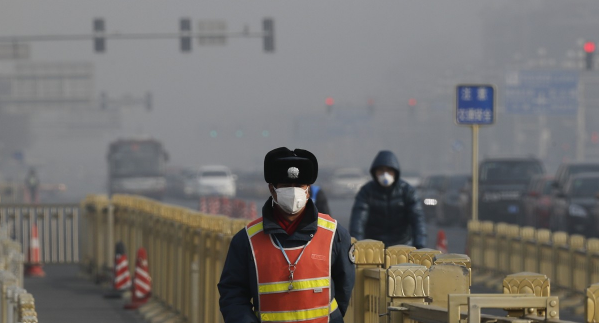 Xian can experience heavy pollution in winter, with much of the city’s heating relying on coal. The tower’s operators say, however, that the system still works in the cold months as coatings on the greenhouses enable the glass to absorb solar radiation at a much higher efficiency. Cao’s team set up more than a dozen pollution monitoring stations in the area to test the tower’s impact. The average reduction in PM2.5 – the fine particles in smog deemed most harmful to health – fell 15 per cent during heavy pollution. 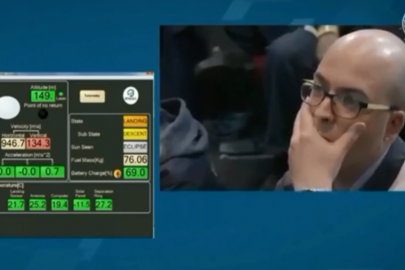 Cao said the results were preliminary because the experiment is still ongoing. The team plans to release more detailed data in March with a full scientific assessment of the facility’s overall performance. The Xian smog tower project was launched by the academy in 2015 and construction was completed last year at a development zone in the Chang’an district. The purpose of the project was to find an effective, low cost method to artificially remove pollutants from the atmosphere. The cost of the project was not disclosed. What was previously thought to be the largest smog tower in China was built last year by Dutch artist Daan Roosegaarde at 798, a creative park in Beijing. The seven-metre (23-feet) tall tower produced about eight cubic metres (282.5 cubic feet) of clean air per second. It was entirely powered by electricity, most of which is generated by coal-fired power plants in China. Cao, however, said their tower in Xian required little power to run. “It barely requires any power input throughout daylight hours. 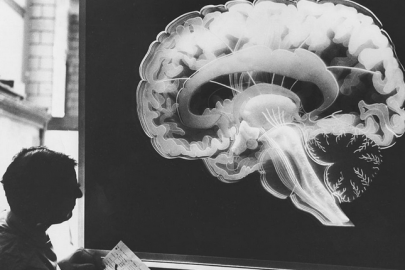 The idea has worked very well in the test run,” he said. Several people in Xian told the South China Morning Post they had noticed the difference since the tower started operating. A manager at a restaurant about 1km (0.62 miles) northwest of the facility said she had noticed an improvement in air quality this winter, although she was previously unaware of the purpose of the tower. “I do feel better,” she said. A student studying environmental science at Shaanxi Normal University, also a few hundred metres from the tower, said the improvement was quite noticeable. 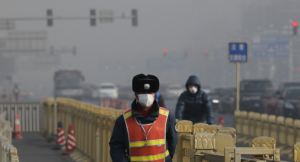 However, a teacher at the Meilun Tiancheng Kindergarten on the edge of the 10-square-kilometre (3.86-square-mile) zone said she had felt no change. “It’s just as bad as elsewhere,” she said. 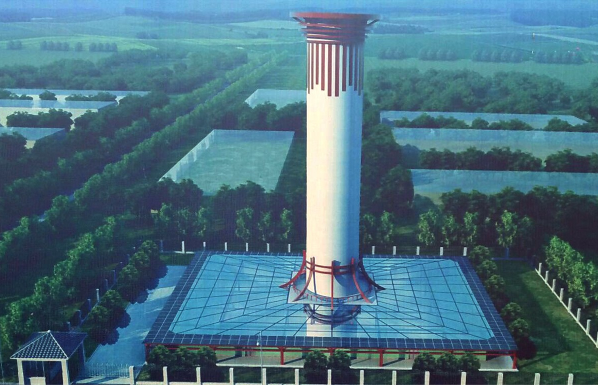 The experimental facility in Xian is a scaled-down version of a much bigger smog tower that Cao and his colleagues hope to build in other cities in China in the future. 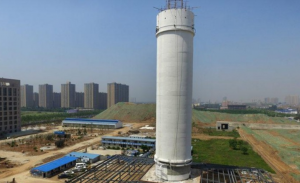 A full-sized tower would reach 500 metres (1,640 feet) high with a diameter of 200 metres (656 feet), according to a patent application they filed in 2014. The size of the greenhouses could cover nearly 30 square kilometres (11.6 square miles) and the plant would be powerful enough to purify the air for a small sized city.